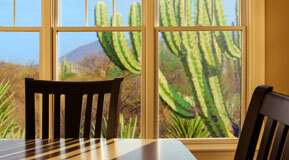 Low-e glass by Vitro Glass is what to look for in a window. 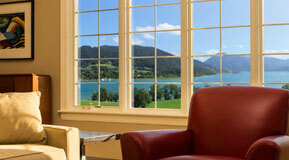 Low-e window glass by Vitro Glass is energy efficient and made to look great in any home, in any climate. 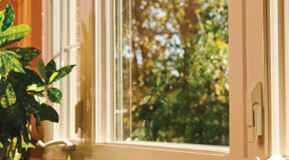 PPG pioneered low-e glass coatings in the 1980s and has spent decades refining its low-e glass products. In fact, Vitro Architectural Glass (formerly PPG glass) holds more patents than any other manufacturer in the glass industry. Issues such as temperature increase, heat loss and damaging solar rays are challenges for any standard clear glass window. Low-e window glass by Vitro Glass addresses all of these issues and helps maximize the comfort and energy-saving potential of a home, whether in a sunny desert retreat in Arizona or a frosty lake house in Minnesota. Vitro glass' very own Glenn the Glass guy goes into further detail about the low-e coatings on window glass. 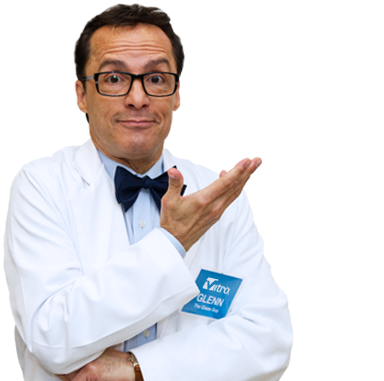 In three very informative videos, Glenn explains what low-e coatings are, how they work and the different types available for homeowners. Glenn explains the three forms of the Sun's energy and how low-e coatings combat harmful UV and Infrared Energy. 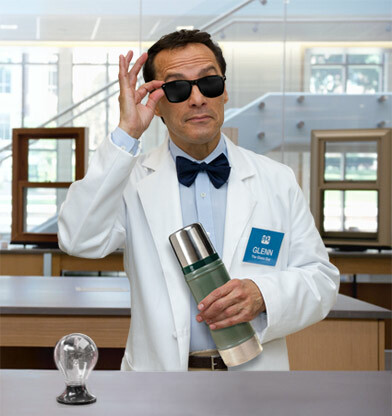 Using a thermos, Glenn demonstrates how low-e coatings work on window glass. Glenn shows a how a thin microscopic silver coating applied on window glass actually slows the infrared and UV energy from passing through the glass. Glenn illustrates how there are two distinctly different types of Low-E Glass—passive and solar control. He also explains how the climate you live determines the right type of glass and how it can help save in energy costs. Watch the "Types of Low-E Glass?" video. Solarban® solar control low-e glass reduces the amount of heat that gets absorbed into a home during the day, making it an ideal window glass for moderate to warm climates. 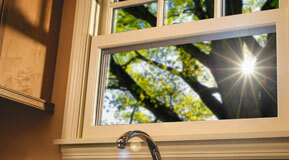 By streaming daylight in, and keeping solar heat out, it makes living spaces more comfortable. In addition, the overall U-value or insulating value of windows with Solarban® low-e glass is about 39% better than standard clear insulating glass. This helps produce higher insulating performance and helps reduce energy bills. Solarban® passive low-e glass maximizes the amount of heat that gets into a home during the day, making it an ideal window glass for colder climates. Introduced in 1983 as one of the first window glass products of its kind, the Sungate® ®lass family features a proprietary passive, low-e coating technology designed for heating-dominated climates. The specialized coating on Sungate® ®lass improves the window’s U-value, providing higher performance and helping to lower heating costs. Sungate® ®lass provides just the right balance of insulating performance and brightness to keep homes comfortable year round. Solarban® 60 glass meets homeowner demands with a proven ability to deliver value and performance by allowing more daylight, making living spaces more inviting and energy efficient. Sungate® 400 glass is ideal for homes and buildings in Canada and the northern U.S. A slight modification to the coating boosts the U-value by 10% compared to Sungate® 500. 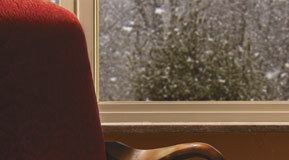 The latest advance in energy-efficient window glass, Sungate® 460 passive low-e glass keeps your home toasty in the winter and heating bills under wraps, too. The scientific benefits of low-e glass are vast, but homeowners should pay particularly close attention to the practical benefits as well. Low-E coatings help save money on energy bills and your home's energy output. So, when choosing new windows for your home, ask your window sales representative if they offer low-e glass and make sure they offer the right kind of glass, passive or solar control, for the type of climate you live in. Learn more by visiting www.glenntheglassguy.com/low-e.html.